Stunning sticker fun from the Pixar film sensation, with six stonking scenes to stick in! Wall.E is the earth’s last robot. All alone, he picks up the waste of a polluted earth. But when he falls in love with another robot called EVE, he follows her into an outer space adventure. 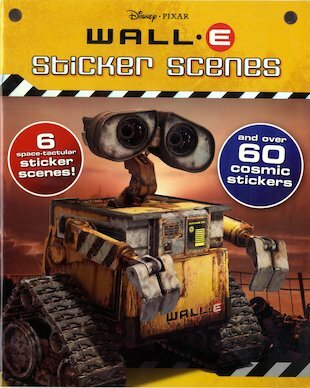 Join Wall.E and EVE on their mission to discover their true destinies – and to save the earth’s precious biosphere!